TABASCO® brand Sriracha Sauce --- 6 Tbsp. Toasted Parmesan breadcrumbs --- 2 Tbsp. Mix TABASCO® Sriracha Sauce with cooked grits. In frying pan over medium heat, sauté shrimp in butter and Cajun seasoning until cooked through. 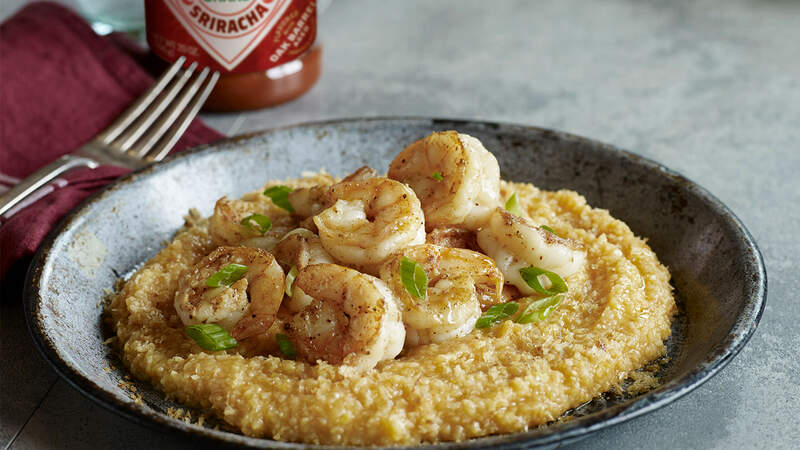 Sprinkle toasted breadcrumbs over Sriracha grits and top with Cajun shrimp. Serve hot.